First-Step to Entrepreneurship Q & A is the NJSBDC at Rutgers-Newark interactive seminar for all entrepreneurs seeking to start a small business in New Jersey. 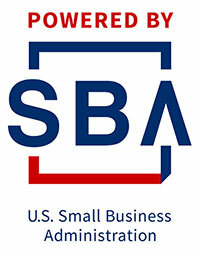 It is a 2 hour roundtable seminar that provides an opportunity for attendees interested in starting a business to discuss the steps and procedures in starting and operating a business and address start-up issues or questions with an SBDC business expert. This seminar will cover: - Selecting Your business legal structure (i.e. LLC,C & S Corps/Partnerships/Sole Proprietor) - Online Business Registration with New Jersey - Registering for taxes with the NJ Department of Revenue - NJ Small Business Enterprise (SBE) Certification - NJ Licenses & Permits (including Departments to obtain) - IRS Schedule C & Getting a Federal Tax ID (EIN #) - Source/Types of Funding + Alternative Microloan Lender - Patents, Trademarks & Copyrights - North American Industry Classification System (NAICS) Business Code All participants will receive training materials and handouts included in the cost.